From Asheville, traveling South West on the Blue Ridge Parkway, one winds up through Pisgah National Forest. Just past the Pisgah Inn, at Milepost 409 there is a spectacular view of numerous peaks including Funnel Top Mountain. 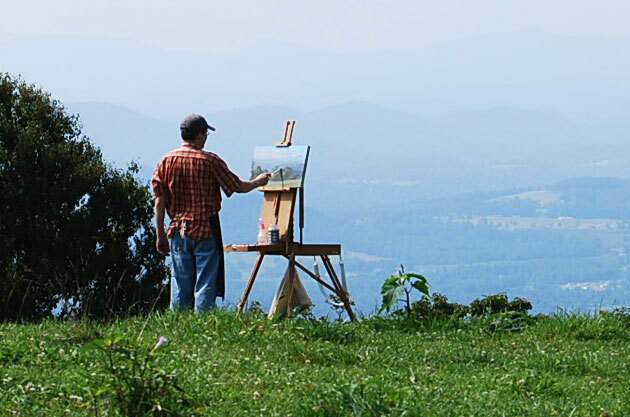 This painting was done in the morning before the clouds rolled in and completely obscured the view. 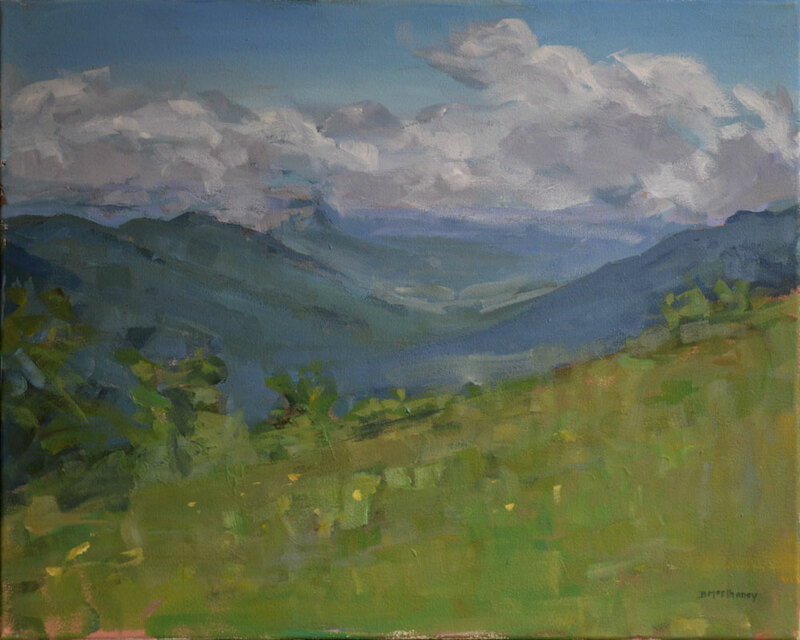 “Parkway Overlook” – acrylic on canvas, 16 x 20 in. 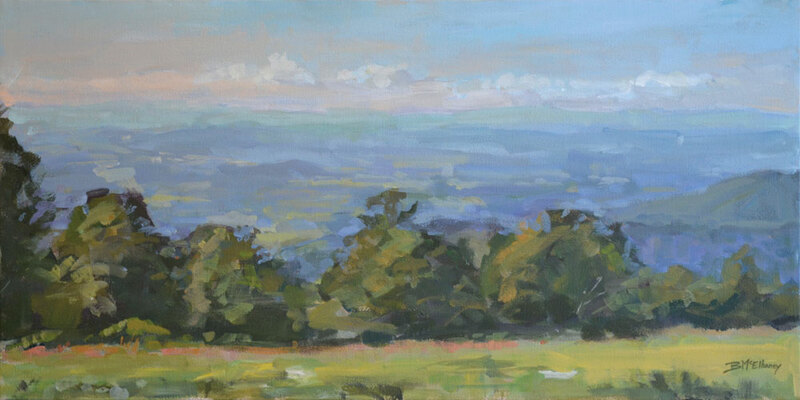 “Bearwallow Vista” – acrylic on canvas, 12 x 24 in. The Jackson Building is a prime example of NeoGothic architecture. Completed in 1924, it was the first skyscraper in Asheville. This view from Pack Square Park gives a sense of its commanding presence. 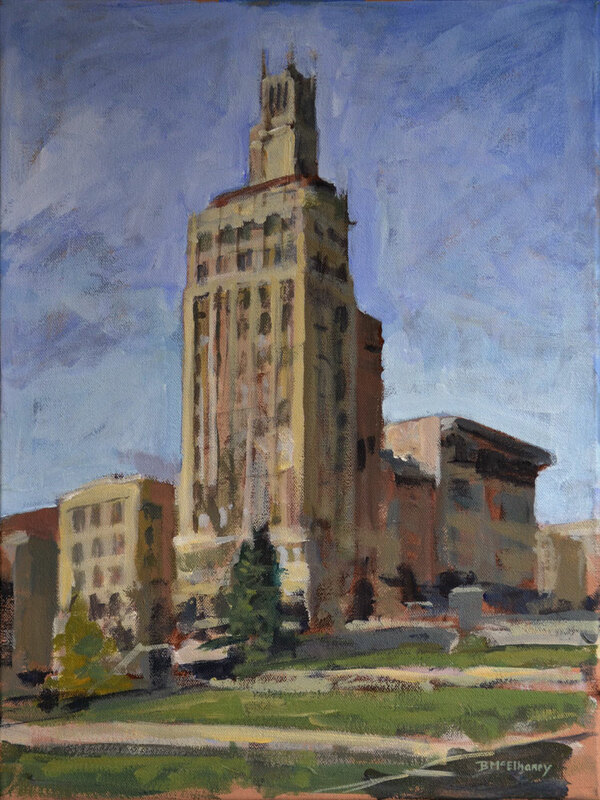 “Jackson Building” – acrylic on canvas, 16 x 12 in. If you haven’t already, I invite you to join my “Collector’s Circle” and get a behind-the-scenes look into my artist’s journey. As always I’d love to hear from you! Feel free to comment below. I see the paintings in this message but not the others?? ?